In case you missed them, here’s a sampling of new pieces I’ve published for National Geographic, Knowable magazine, and Nature Astronomy. Thanks as usual to all of my excellent editors. I’m only posting brief excerpts here, so please check out the whole thing using the links below. The U.S. space agency is rigorously testing its Orion spacecraft in hopes of launching its first mission to the moon as early as 2019. 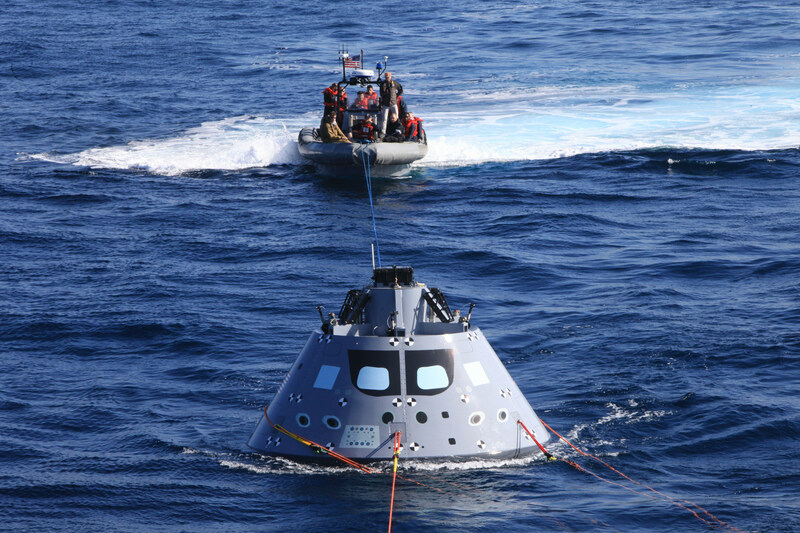 NASA has been subjecting its Orion space capsule to a battery of tests designed to tell whether the spacecraft is ready to ferry humans into orbit and beyond. So far, the capsule seems to be on track—in a series of maneuvers this week, a joint team of NASA and U.S. Navy specialists successfully recovered the spaceship from the sea off the coast of San Diego, simulating what would happen when a deep-space mission splashed back to Earth. If all goes to plan, Orion will become NASA’s flagship technology for launching astronauts to orbit and even to deep space, including to the lunar surface and maybe Mars. Here’s what’s at stake with Orion, and what still needs to be done before it can blast off. Wait, aren’t U.S. astronauts already getting into space? Yes, but not on NASA spacecraft. The space shuttle program ended in 2011, and the remaining shuttles are now on display in museums around the country. Since then, American astronauts have had to hitch rides to the International Space Station on Russian rockets, and NASA has sent supplies to the ISS via SpaceX and Orbital ATK launches. Has humankind driven Earth into a new epoch? In the thousands of years that modern humans have trod the Earth, we have wreaked stunning changes on the planet — the rising CO2 levels fueling climate change, novel and long-lived radioactive particles from nuclear activity, depleted water resources, toxic waste buildup, desertification and more. To reflect our impact on the globe, some geoscientists and biologists have advanced the concept that we are living in a new geological time period: the Anthropocene, or the epoch of humankind. The current geological epoch, the Holocene, began 11,700 years ago, after the last major ice age. But in the last 15 years, geologists and other Earth scientists have debated whether we have left enough of a mark on the world that it makes sense to bid the Holocene goodbye. For fifteen years I worked as an astrophysicist, traversing the cosmic web of dark matter, imagining the structure of the expanding Universe, investigating the vast diversity of the hundreds of billions of galaxies observed so far, and debating among colleagues about what it all means. As fun and exciting as this line of work is, I left it all behind. For a variety of reasons, including the lack of job security in academia, the extreme specialization of research, and the challenges involved in choosing a place to live (rather than having your job choose it for you), I decided to embark on a new career path — science writing. It’s hard work transitioning the gap between these very different career types, but I’ve survived the journey, and other astronomers and planetary scientists can successfully make the trip too.